Apple announces Apple Watch technology wearable. Here’s all the info you need to know. Apple CEO Tim Cook took to the stage in sunny California on Monday to give more details on the previously announced Apple Watch. 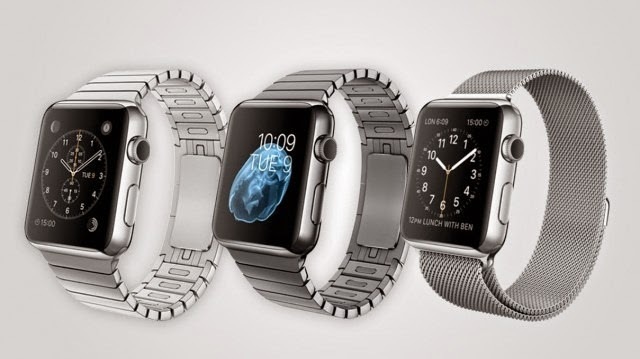 The Apple Watch comes in 3 different models: Apple Watch Sport, Apple Watch and Apple Watch Edition. 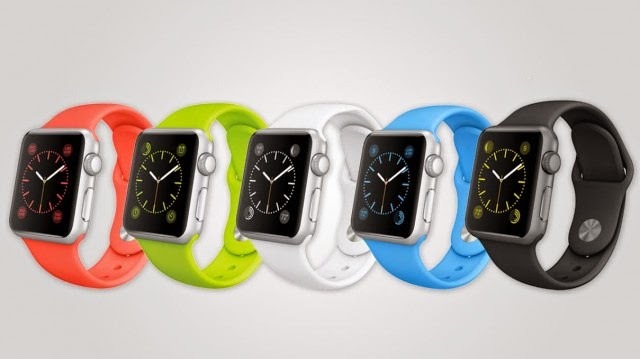 Nearly three years ago, rumors began circulating that Apple was working on a watch, which the media and fans had dubbed the iWatch. Quickly, companies like Samsung and Google jumped on the leaked early specs to beat Apple to the punch. They failed miserably. In the the year and a half since their release, less than a million smart watches have been sold. This doesn’t include things like Jawbone, Pebble or FitBit, which aren’t really watches at all. In the Fall of 2014, Tim Cook finally announced the Apple Watch. Six months later, we have all the details, pricing information, options and accessories you could possibly want before the pre-order date of April 10, 2015 and the release on April 24, 2015. 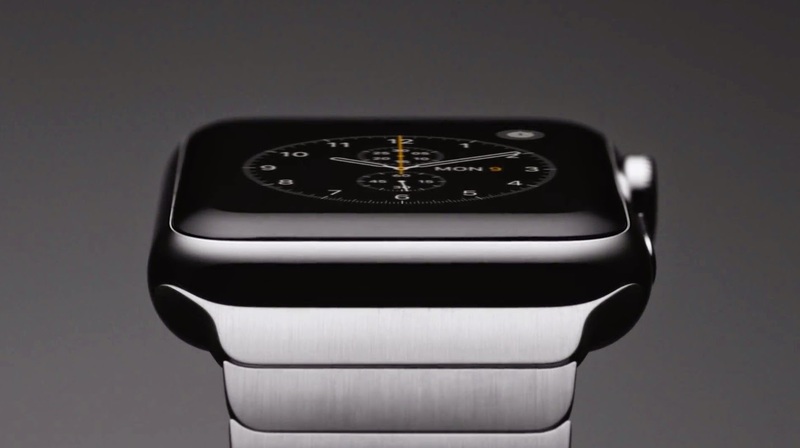 All three collections of the Apple Watch will come with 8GB of storage. You will pair the watch with your iPhone (5C or higher) which will allow you to load your watch with Apps, music, photos and more. All three collections come in the choice of a 38mm size or a 42mm size. There are an array of bands from Sport Bands to finely crafted leather bands made in Netherlands to metal bands made in Europe. As always, Apple thought as much about the look of the product as they did the function of it. While Apple is typically minimalist in their options, there are actually 38 different band and case combinations, making your choice a bit more complicated than say, which of the three colors of iPad you would want. This is due to the fact that the fine folks at Apple see Apple Watch as a highly personable piece of technology, that is literally connected to you most of the time. 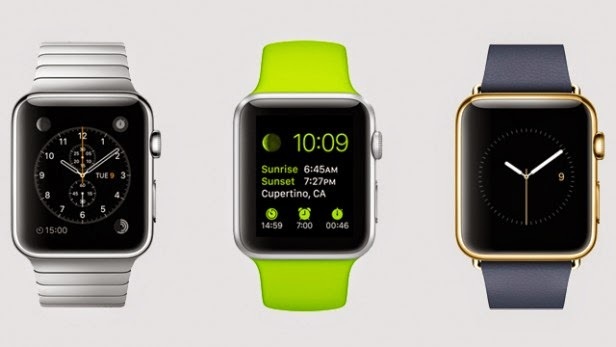 The Apple Watch Sport starts at $349 for the 38mm version and $399 for the 42mm version. Made from aluminum, the Apple Watch Sport collection features an Ion-X Glass display which is made by Corning (aka Gorilla Glass). You have the choice of two different casing options in the Apple Watch Sport Collection: silver and space gray (which should be familiar to many iPhone owners). There are five different fluoroelastomer Sport Band options to choose from which cost $49 each. They are white, blue, green, pink and black. Apple Watch stainless steel models in Space Black stainless steel or classic stainless steel. 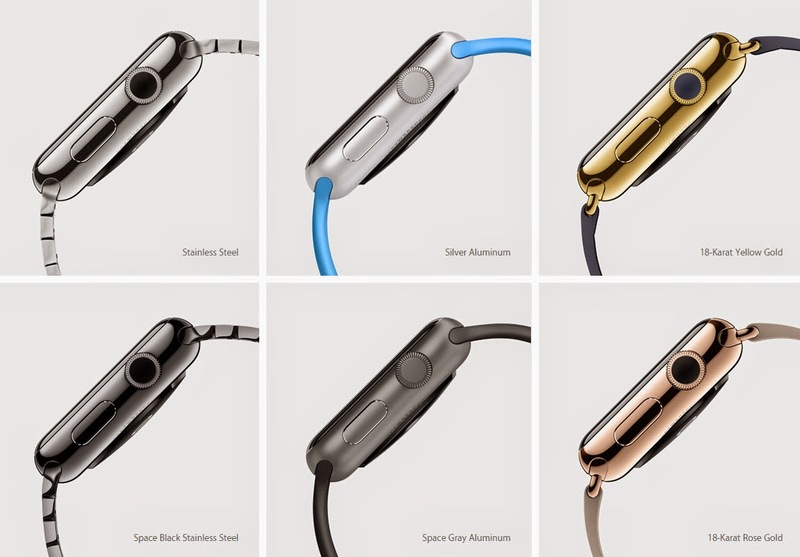 The Apple Watch Edition collection starts at (wait for it) $10,000 for either the 38mm or 42mm version. 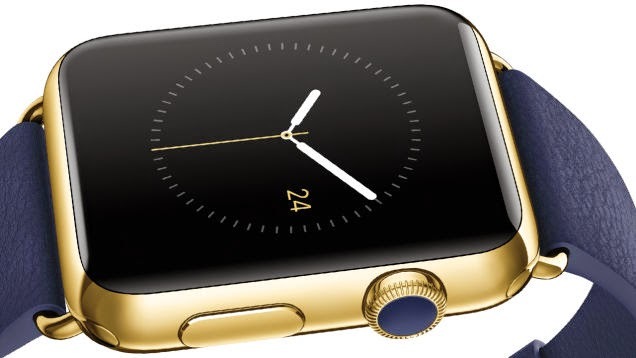 Apple states that the custom gold alloy is twice as hard as standard gold. It also features the Sapphire crystal display. 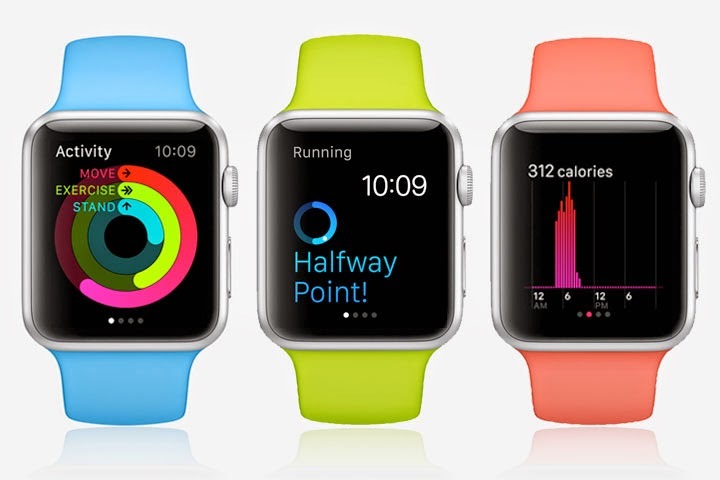 Continue on for an in depth look of all the amazing features of the Apple Watch.